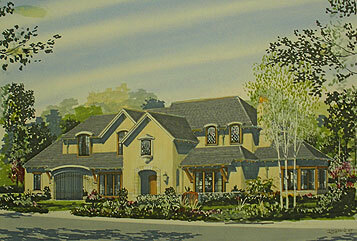 New European Traditional styled home was recently approved by the Hillsborough Architectural Review Board. The Porte-Cochere leads to an interior courtyard and a three car parking garage. This approach removes the garage as a dominant element to the front facade.